The jury’s still out on what effect the firing in August of some key players at Hipstamatic will have on the app itself — but the toy-camera simulator is still pumping out the FreePaks, those cute virtual lens-and-film pairings that often tie in with some pop-culture reference. 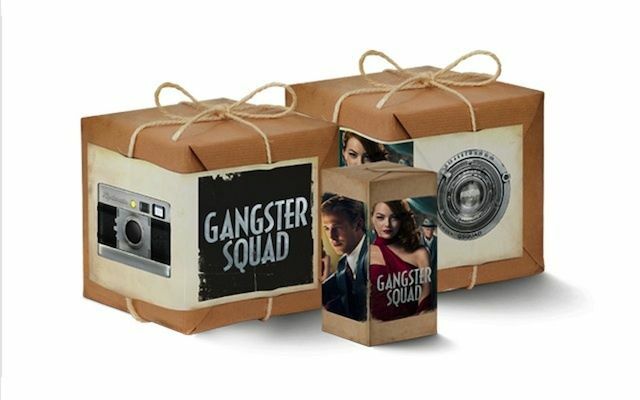 This time it’s based off the star-stuffed Gangster Squad flick, set to be released early next year. Oh, and they’re giving away a Canon 5D Mk III in a contest, if you’re interested. The Freepak consists of the antique-flavored Gsquad lens, the GS-0 film with its circular crop and the Gangster Deco case that looks suspiciously like the old Leica my granddad used to sport around his neck. While the FreePak is, as always, free, you’ll still need to buy the $2 Hipstamatic app (if you don’t already have it). To win the 5D Mark III, you’ll need to gather up a bunch of fishy looking people, pose them as a ’40’s mob and shoot them (with the FreePak); then submit the shot by December 5. Full details here. Hipstamatic has also expanded Snap e-zine (which until now was only available on the iPad) by now making it also available on the iPhone and web — perhaps hinting at a different direction for the company?